Words I Write Crazy: We Have the Cover of His Fair Assassin #4!!!! Yeah, we have the cover of Courting Darkness by Robin LaFevers, and it's fierce! 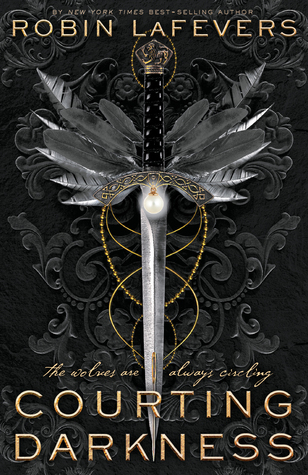 This cover is different from the first 3 books, but since the 3rd book was supposed to be the end of the series, that we get this book and I think the 5th book too, so yeah, really happy! What about you guys? Happy reading!